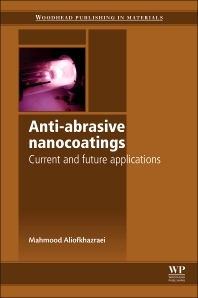 This book provides an overview of the fabrication methods for anti-abrasive nanocoatings. The connections among fabrication parameters, the characteristics of nanocoatings and the resulting properties (i.e. nanohardness, toughness, wear rate, load-bearing ability, friction coefficient, and scratch resistance) are discussed. Size-affected mechanical properties of nanocoatings are examined, including their uses. Anti-abrasive nanocoatings, including metallic-, ceramic-, and polymeric-based layers, as well as different kinds of nanostructures, such as multi-layered nanocomposites and thin films, are reviewed. 3.3 Why do drying films crack? Mahmood Aliofkhazraei is a PhD researcher in the Corrosion and Surface Engineering Group at the Tarbiat Modares University in Tehran, Iran. Having obtained his academic degrees from this university, his research has focussed on different aspects of nanocoatings. He is the author of over 50 scientific publications on nanocoatings and has received numerous scientific awards, including the Khwarizmi Award. In 2010, he was selected as the best young nanotechnologist nationwide. Mahmood is also a member of the National Association of Surface Sciences, Iranian Corrosion Association and the National Elite Foundation of Iran.